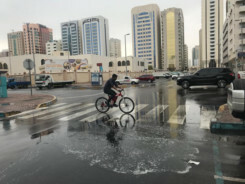 Dubai: The wet spell that brought rain to most parts of the UAE on Sunday is expected to end by Monday afternoon, the National Centre of Meteorology (NCM) said. The rain was preceded by an allergy-inducing dust storm due to strong winds with gusts of 50km/h at times. The winds caused visibility to drop to less than 1,000 metres in most parts of the UAE early on Sunday. On Dubai-Al Ain Road, suspended dust particles reduced visibility to less than 200 metres. The rain caused flooding in some wadis in Dibba and on roads to Jebel Jais. 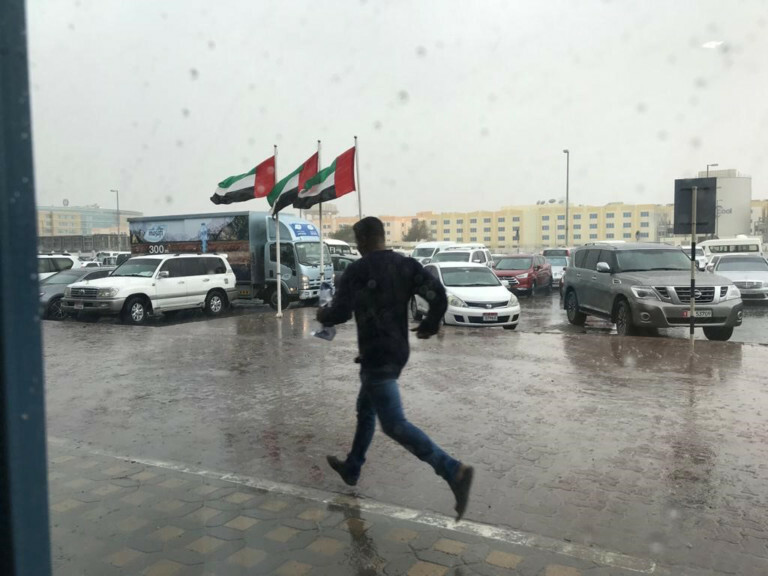 Heavy showers were reported at Al Maktoum International Airport in Dubai, Emirates Road in Dubai, Tawiyen, Dibba in Fujairah and in Ras Al Khaimah. Khor Fhakkan, Sweihan, Al Dhaid received moderate rain. The Ministry of Interior warned motorists against going to wadis during heavy rain. In Dubai, Global Village was shut on Sunday due to the weather instability “in the interest of its guests and partners working onsite.” The management announced that it will reopen on Monday. 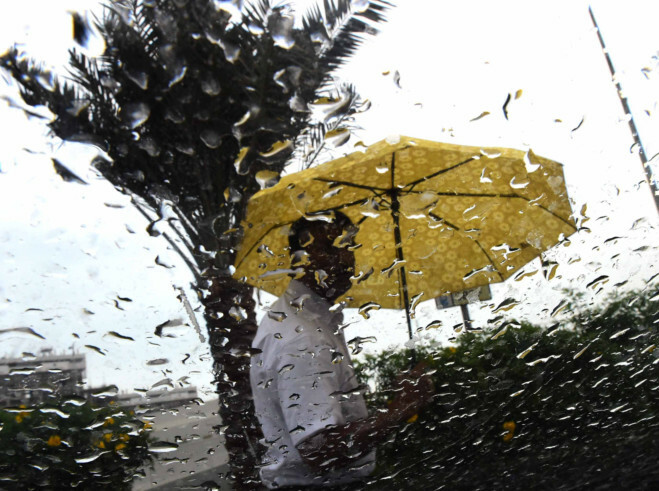 It will be cloudy in general on Monday, but rain is expected in the northern and eastern areas of the UAE although the wet weather is likely to run its course by noon. Dusty conditions are expected to continue. Tens of thousands of Roman Catholics are expected to begin their trip to Abu Dhabi for Tuesday’s papal mass by Monday evening. Since the Zayed Sports City Stadium is an open-air venue, residents are urged to take precautions during dusty conditions. Those reaching the venue early on Tuesday are urged to bring warmers as it will also be a cold night. The mercury will range from 18 degrees Celsius to 22C on Monday, dropping to 11C to 24C on Tuesday. The Arabian Gulf will be rough to very rough on Monday and Oman Sea will be rough.